Show your message to the right audience all the time by utilizing a video wall or digital display. INC Tech offers interactive video wall setup, video wall design, and an array of digital options. Eye-catching video walls and digital interactive signs attract attention with bold and captivating content. Video walls can facilitate the introduction of new products or services, inform students about campus programs, promote offers and events, recognize staff achievements and much more. Several digital displays can be configured to form one media presentation vehicle. Tiling allows imagery to boldly present your brand and message. Video walls can also be used to display more than one message at a time. 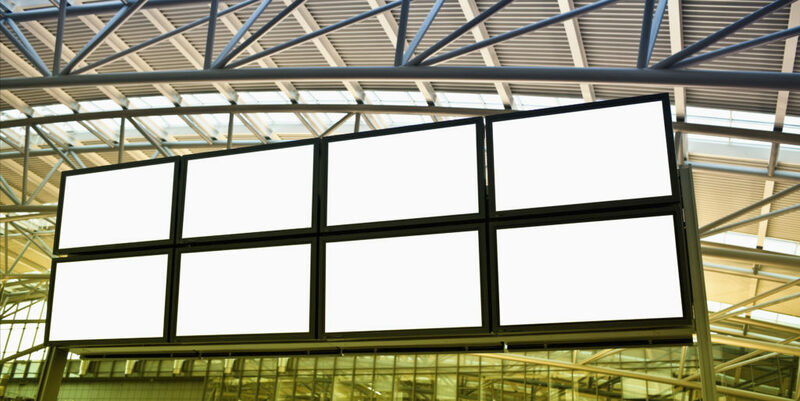 Because multiple screens combine to make a large image, a video wall can be display messaging from inside a building to viewers on the outside. Video walls are perfect for corporate lobbies, retail, public event spaces conference rooms and event halls. The Boldest Digital Canvas. To grab the attention of a hurried transient audience, a digital signage display needs to be extraordinary. Our LCD video wall design experience will help you to provide a stunning digital signage canvas. The most effective digital signage should be dynamic and fluid, visually stunning content must transition smoothly. Our touch screen or remote video wall controllers offer a powerful processing platform that manages ultra-HD digital signage content on the video wall canvas. 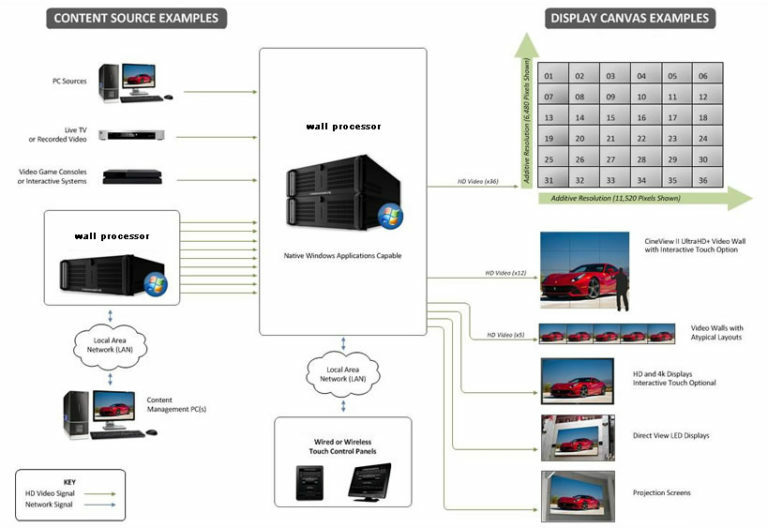 Video walls demand the innovative, high-performance computing technology. Because digital signage is public-facing 24/7, it is critical that our solutions are robust, reliable, and able to facilitate long-term use with low maintenance issues. INC Tech offers a unique, solutions-based approach to designing digital signage solutions that meet unusual or extreme requirements. Our video walls and digital signage systems are long-term investments that must last the test of time, therefore we offer ongoing support around the clock – just like your digital solution.